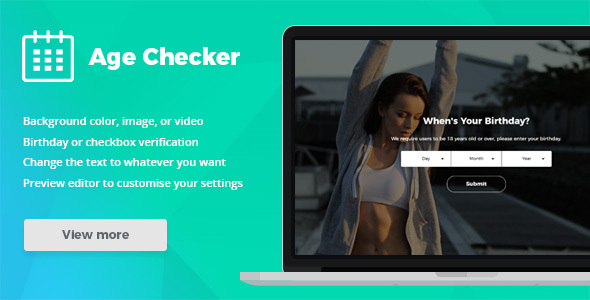 Age Checker is an age verification plugin for WordPress. This plugin blocks access to your website content unless the user confirms that they are above the minimum age. The style and settings can be easily configured within the plugin’s preview editor.